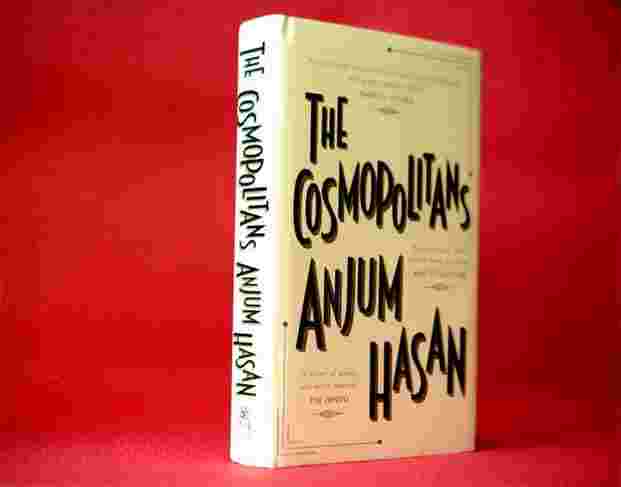 Qayenaat, the protagonist of Anjum Hasan’s new novel The Cosmopolitans, is an unusual woman, and not only for her name. She doesn’t have a surname or a man in her life or even a cat. What she does have are good friends, former boyfriends, a quick intelligence, a rich inner life and a somewhat unfulfilled outer one, and a grand passion for art. Oh, and she’s also 53. What does Indian society do with someone who refuses to be slotted? Who cannot be defined relationally, or professionally, or even materially? Who grapples with the big questions of the day—feminism, communalism, creativity, marginalization—but possesses enough of a sense of irony to accept ambivalence and, on occasion, upset all calculations with politically incorrect speeches and actions? Qayenaat is all that and more, a delicious in-between product of two sharply defined periods of contemporary Indian history: the idealism of the Nehruvian era (literally, since her public sector engineer father embodies all that was good and shining and bright about those post-Independence decades) and the arrogant triumphalism of the post-liberalization years, symbolized by the artist Baban Reddy, the flavour of the West and the toast of the month in Bangalore. It is there, at Baban Reddy’s show in fact, that we see Qayenaat first, perched atop a high step-ladder to better appreciate Nostalgia, the sole, gigantic artwork on display. The bird’s eye view is peculiarly appropriate, since Qayenaat is of the (gallery) crowd—the identifiable cosmopolitans of the title—but removed from it and her nostalgia draws its sustenance from a whole different source altogether. This distance—attribute it to her intellect, her objectivity or even her alterity—is as much part of her as her need to bridge the gap. The first section of the book, which moves freely from the arty party to shady street and from civilized drawing room conversations to street-corner protests, is happy stomping ground for Hasan, who, with her previous novels Lunatic in my Head and Neti, Neti, has already established herself as an urban novelist of note, investigating the deepening shadows cast by bright lights, the angles beneath the smooth surfaces. However, this is not the mall-is-all Bangalore that new economy dog-tagger Sophie (of Neti, Neti) knew; Qayenaat’s city is her home, characterized by hallowed cafés and planned layouts, familiar faces and unquestioned histories. Just as you’re patting yourself on the back for sussing out the trajectory of the novel, surprise, surprise! The twist comes in the heart of the book; a twist that, a couple of weeks after reading, I am still gobsmacked by. And it proves to be the fulcrum for The Cosmopolitans, propelling it into territory that is as new to Hasan as Qayenaat. In the hands of a lesser writer, this is where the novel could have gone into freefall, the victim of overarching ambition. Here, however, it wins a curious second life, replacing the certainty of the city with a near-surrealist take on the small town of the heartland. War wages in the fringes, characters drift in and out, no one is quite what they seem at first sight and even Qayenaat finds herself bestowed with a new identity. Through it all, she finds the object of her avowed quest—a dance form that the big city chatterati describe as ‘folk’, almost a Platonic ideal—and much else that she had no idea she was seeking. The central idea of The Cosmopolitans is art and the way we relate to it today, a subject that has been possibly better examined in western literature than Indian, as Hasan says in an essay in the news website Scroll. A close parallel to the way The Cosmopolitans treats the central motif of a work of art as a life-sustaining factor, for instance, would be Donna Tartt’s The Goldfinch. But, unlike Tartt’s magnum opus—which I found to be a bit of a misery fest, frankly speaking—The Cosmopolitans is leavened with enough wit and irony to make for an engaging, uplifting read. As intense and cerebral as the novel is and as relevant as the questions are, this is also possibly the most fun Hasan has had with a novel. There’s a lightness of touch, bordering on the zany, that serves the core ideas well. Pick up The Cosmopolitans to read an author at the peak of her powers, long may they last.